Shamanic healing is a spiritual and medical practice based upon the belief that all healing includes a spiritual dimension. ‘Shamanic Practitioners enter altered states of consciousness to communicate with other realms of reality. The ‘Shamans’ journey is to help the client to rediscover their connection to nature and spirit. Shamanic Practitioners work with the spirit or the soul. They heal illness at the soul level. … The shift of consciousness that the shaman makes, which allows the free part of his or her soul to leave the body. The shaman can then go retrieve information for your healing and growth. The spiritual skin, as it were, has some holes in it, making the person vulnerable. Experienced Shamanic Practitioners can call on spirits to help restore portions of the soul and remove spiritual parasitical intrusions. Shamanic healing is part of a holistic system that works with other modalities, such as Western medicine. In shamanism healing work is performed to deal with the spiritual aspect of illness. There are three common causes of illness in the shaman’s worldview. A person may have lost his or her power, causing depression, chronic illness, or a series of misfortunes. In this case, the shaman journeys to restore that person’s lost power. Or a person may have lost part of their soul or essence, causing soul loss, which sometimes occurs during an emotional or physical trauma, such as accidents, surgery, abuse, the trauma of war, being in a natural disaster, divorce, the death of a loved one, or other traumatic circumstances that cause shock. Soul loss can result in dissociation, post-traumatic stress syndrome, depression, illness, immune deficiency problems, addictions, unending grief, or coma. Soul loss can prevent us from creating healthy relationships and the life we truly wish to live. It is the role of the shaman to track down the parts that have fled and been lost due to trauma by performing a soul retrieval ceremony. Another cause of illness from a shamanic perspective would be any spiritual blockages or negative energies a client has taken on due to the loss of his or her power or soul. These spiritual blockages also cause illness, usually in a localised area of the body. It is the role of the shaman to extract and remove these harmful energies from the body. A Shamanic Practitioners heals both the living and the deceased. In healing those who died, the shaman performs a psychopomp ceremony of helping those who have died cross over to a comfortable and peaceful place. The ceremony may also include clearing a home or land of spirits that are in a state of unrest. A depossession might need to be performed to clear a person of unwanted spirits. Kevin Parker has undergone intensive advanced training under the auspice of the Foundation for Shamanic Studies. The practice is complimented by his Energetic Reiki Masters training, House Whispering training, knowledge of crystal healing and Australian Bush Flower Essences. Distant Healing is available. Sessions are available face-to face in the Southern Highlands of NSW. Remote healing is available worldwide, please use the contact form if you would like a remote healing for yourself or a significant other (permission must be obtained). There is no-charge for Psychopomp work or remote healing as a part of Kevin’s Service to All Offering. Face-to-face sessions in the Southern Highlands are AU$70 with exemptions granted according to need. Ancestral Line Healing – It is suprising to many how many of our health or failure to meet challenges in our lives are attributable to inherited ancestral energies, or in some cases the continued unwelcome influence of spirit energy from deceased family members. Shamanic assistance may help to remedy this situation. Distance Healing– All of the services and modalities listed here can be provided as a distance or remote healing, where the client in NOT physically present during the healing session. 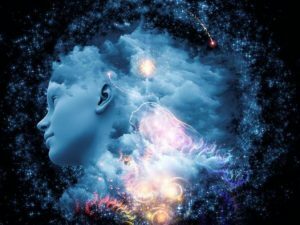 ‍‍‍Spiritual Intrusion Removal – Clearing unwanted and troublesome energies from the body, organs and energy field to restore balance and patch auric holes and punctures. Compassionate Deposession- Clearing the influence of a deceased person or foriegn entity from your energy field. Spirit influence is surprisingly common and not as dramatic as it sounds. 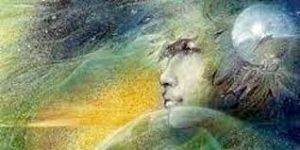 Shamanic Doctoring- Healing where the Shamanic Practitioner journeys or merges with their compassionate Spirit Allies to collect healing energies for the client for their specific ailment or illness, and transmit these through words, songs or movement. 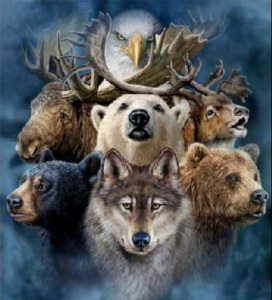 Recommended Reading for more information about the Shamanic process. 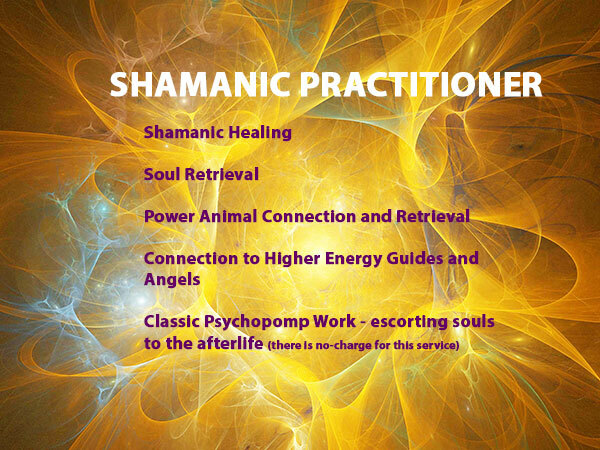 If you feel that you are in need of Shamanic Services please contact Kevin. Read More About Shamanism via the Foundation for Shamanic Studies Website. The interview with the founder of the Foundation, Michael Harner, Shamanic Healing: We Are Not Alone :An Interview of Michael Harner by Bonnie Horrigan, is a good place to start. THE INFORMATION ON THIS WEBSITE DOES NOT REPLACE MEDICAL ADVICE. MEDICAL AND SCIENTIFIC INFORMATION PROVIDED IN PRINT AND ELECTRONICALLY HERE MIGHT OR MIGHT NOT BE RELEVANT TO YOUR OWN CIRCUMSTANCES. ALWAYS CONSULT WITH YOUR OWN DOCTOR FOR MEDICAL CONCERNS.